 The Board of Volunteers who brought you the Leavenworth Earth Day Fair for the past 10 years are needing to pass the baton. We are in the process of looking for another group of like minded people but, unfortunately, not in time to see an Earth Day Fair for 2019. We are hoping to find a new home for this worthy event but as for 2019, there will not be a Leavenworth Day Fair. This year's theme will be community. We intend to explore the power of community in bringing about positive sustainable living practices to secure a healthy climate future. Our goal is to create a family-friendly event educating around this theme of sustainability. The Fair is put on by the Leavenworth Earth Day Fair Planning Committee. We are an independent group of volunteers. Please contact us with any questions or to volunteer.